Noted as the foremost authority on the rise of Maya culture, Richard Hansen has spent the better part of twenty years, excavating, securing and protecting the massive El Mirador complex in Guatemala. Built more than 2,000+ years ago—long before archaeologists believed such a place could exist at that era in Maya history—El Mirador was a busy metropolis covering six square miles, home to tens of thousands of people, and filled with grand buildings, pyramids and plazas. It’s now thought to be ... Más informaciones the cradle of Maya civilization. At the heart of El Mirador is the grand plaza with the massive La Danta pyramid complex. At 230 feet, it is not as tall as the great pyramid at Giza, but, according to Hansen, it is more massive, containing some 99 million cubic feet of rock and fill. 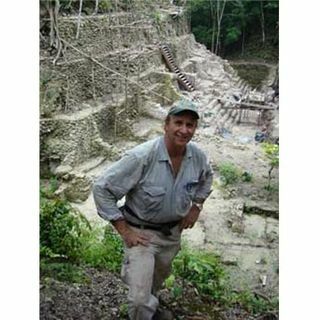 Dr. Richard D. Hansen, an archaeologist specializing in the early Maya, is Director of the Mirador Basin Project and Adjunct Professor of Anthropology at the University of Utah. He has written extensively on his work and been featured in many documentaries on the Maya.